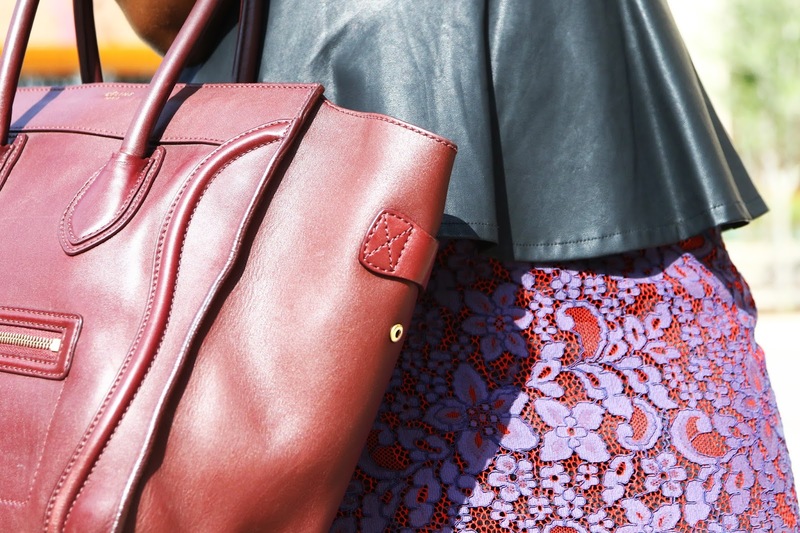 Hello Yvonne: Leather & Lace! Hello! it's thanksgiving week yay!! Besides looking forward to stuffing and pecan pie, my favorites as well as the rest of the food, I look forward to another opportunity to reflect and be thankful for another healthy year. Do you have any thanksgiving traditions? I hope to have a tradition started when we have kids . Presently, my hubby and I usually join my in-laws at the family cabin in Ruidoso village, NM for a tranquil weekend although it's a maybe this time. For this look, I chose to pair the more colorful more delicate lace skirt with leather (faux) which is often thought of as tougher. There is a Stevie Nicks song about leather and lace that I love so putting this look together made me think of it. 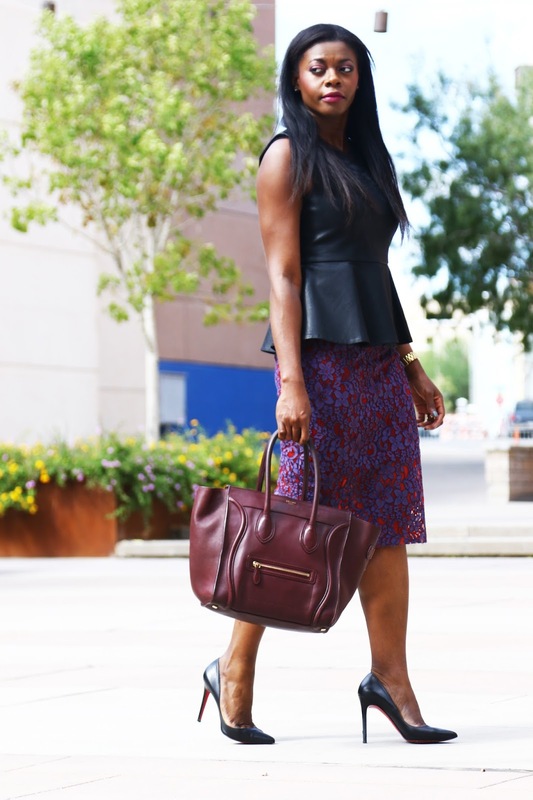 I added a colorful bag to match the skirt and kept the heels and peplum top in black. Hope you like it. Thanks for visiting and I wish you a blessed thanksgiving week/weekend. 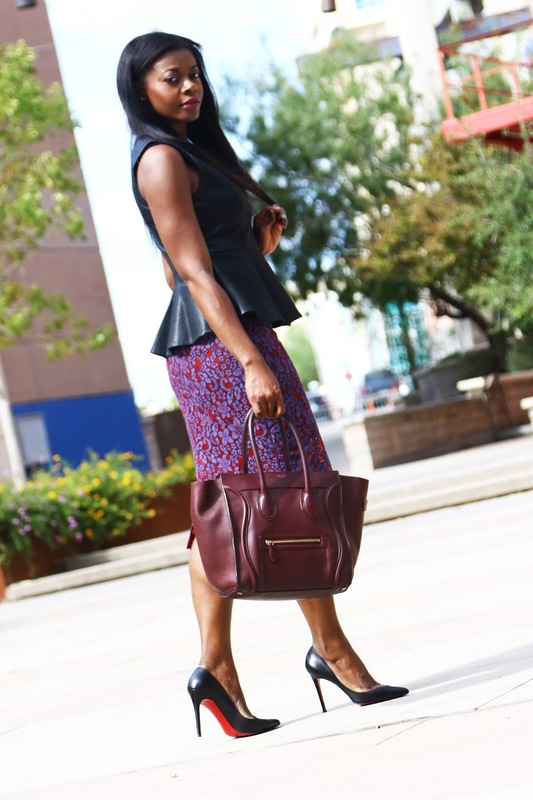 Skirt-Zara (Similar, Similar), Bag- Celine (Similar), Heels- Christian Louboutin (Here), Top- F21 (Similar). I'm not sure how I missed this post but you look amazing! 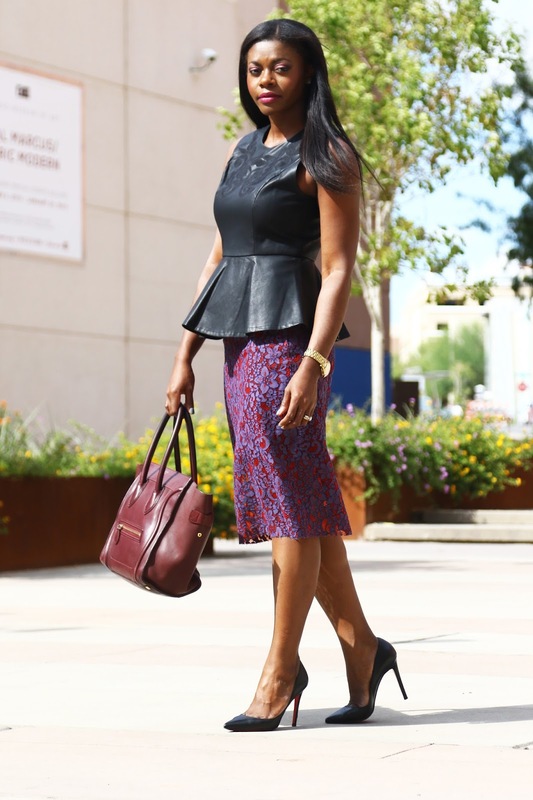 I love the leather skirt and its paired perfectly with your peplum top. 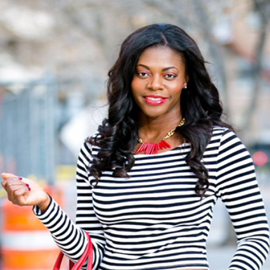 Great look Yvonne!